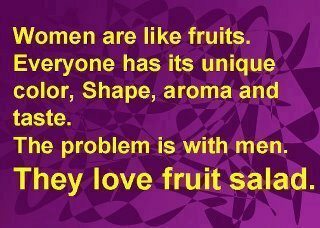 Home Humor Time to laugh…..
Women are like fruits. Everyone has its unique color , shape , aroma and taste. the problem is with men . They love fruit salad .